Canon U.S.A. announced today the launch of the company’s first single-chip DLP 4K ultra-high definition (UHD) laser projector, the LX-MH502Z. 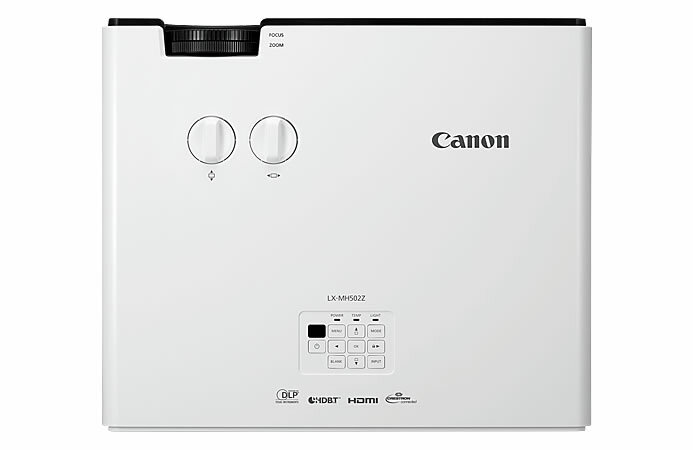 The new Canon LX-MH502Z model uses an innovative 4-way pixel shift technology to deliver its 4K UHD 3840×2160 resolution and advanced laser phosphor light source generate up to 5,000 lumens to help provide a bright and sharp viewing experience, all in a compact and lightweight design. Wide throw ratio of 1.36-2.18:1 and manual lens shift range of +/- 60 percent vertical and +/- 23 percent horizontal helps provide installation flexibility. The laser light source, which offers up to 20,000 hours of maintenance-free operation, expands this further as the projector LX-MH502Z can be mounted in virtually any position, including a portrait projection position.